One of the most exciting projects of last year was the dive to survey and evaluate the remains of the wreck of The London, just off the coast of Southend. The London was a ‘second rate’ ship of the line that was built at Chatham in 1656 for the Commonwealth Government under the Lord Protector Oliver Cromwell. 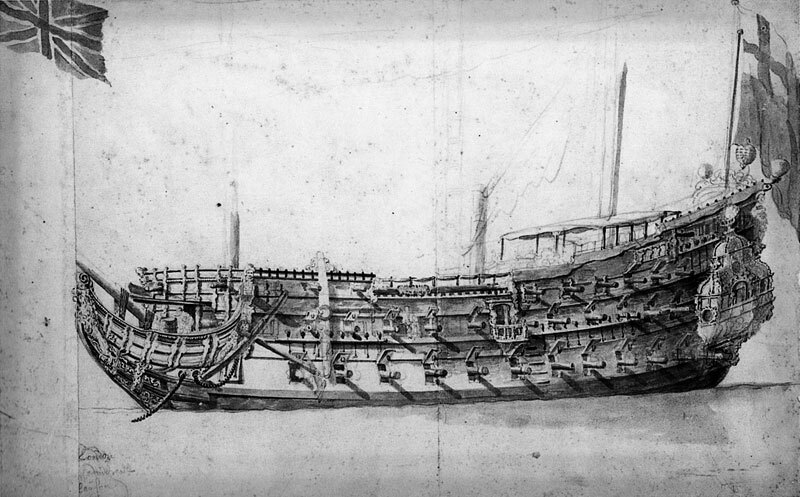 In May 1660 she was part of the fleet that transported King Charles II to England during the restoration of the Monarchy. In 1665, at the beginning of the second Anglo-Dutch War, the London was appointed as flagship of the Red Squadron and was en route to the Hope when she was torn apart by a massive explosion. 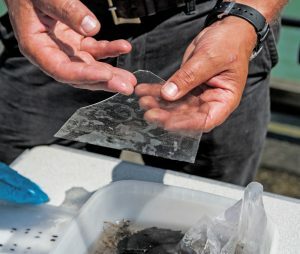 During the summer of 2014, as well as archaeological evaluation of the site, a large number of loose finds were collected by the dive team, led by Site Licensee Steve Ellis. 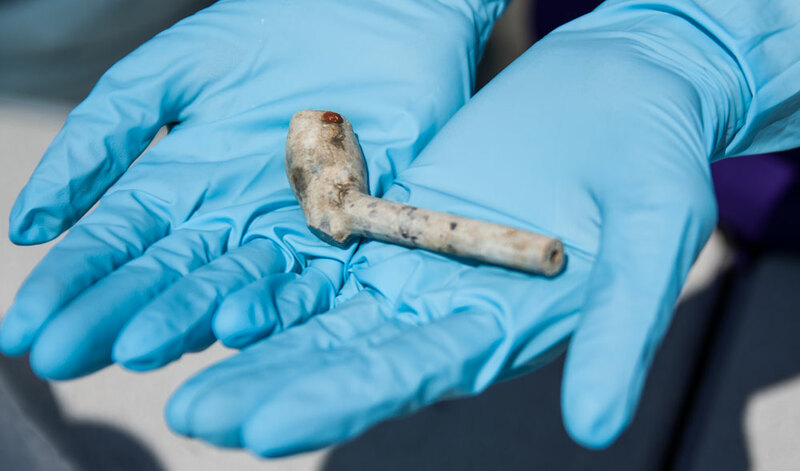 Volunteers organised by Southend Museum oversaw initial processing and care of the finds as they arrived on shore. 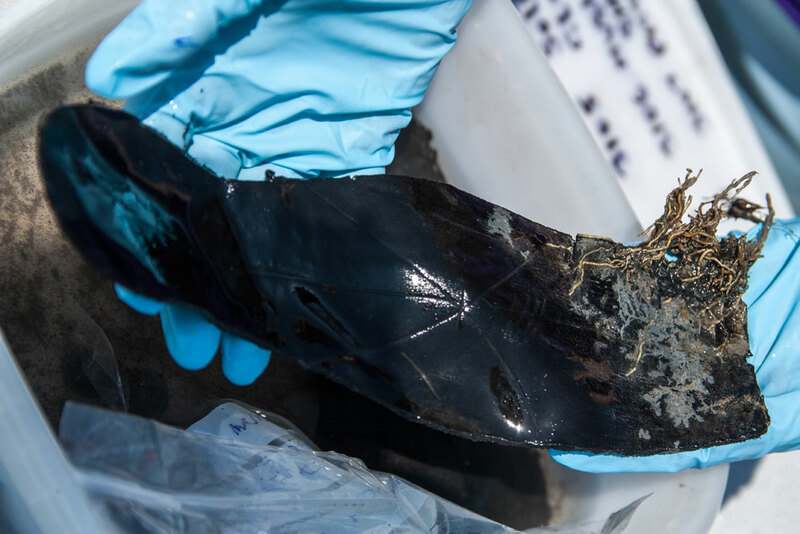 A large number of leather shoes have been recovered in remarkable condition and the finds are now being conserved at English Heritage’s laboratory at Fort Cumberland. This summer an excavation of the surveyed area will be carried out and no doubt more exciting finds recovered.